Among the vibrant group of artisan vignerons who have put Anjou in the spotlight in the recent years, Mark Angeli is the precursor, opening the way through a return to a serious work in the vineyard. My own personnal experience with Angeli's wine was with La Lune 2009, of which I purchased a few bottles a couple of years ago years ago (5th picture on this page). This was a beautiful wine moment, hard to describe, although I can say that for me it resided in the life, vibrancy and texture of the wine as well as in its aromas, the whole being very enjoyable. I still have a few bottles from that batch and I open one when I really want to indulge in an exciting Loire white. This chenin is labelled as a simple table wine (and not Anjou), another hint as the relative worthlessness of the appellation status when you're into these lively wines made without concession. Mark Angeli's winery is managed along the biodynamic principles (Demeter certified) and that may be why he has not named it domaine but Ferme (farm), as you may know that ideally for Rudolf Steiner, an agricultural entity must be structured like a living farm, complete with its farm animals and different crops in order to create a diverse and balanced farm ecosystem that can result in healthy crops and products. Biodynamy is quite widespread among the vibrant vignerons behind the renewal of the wine culture in the region (Anjou), and Nicolas Joly who is probably the most colorful and energetic promoter of this vineyard management (certified biodynamic since 1988) is based close from here in Savennières, only 20 km away. Nicolas Joly's dry whites have tilted many initially-dubious winegrowers toward biodynamie, as these wines were really different. Now that the movement expanded, I am pretty sure that Mark Angeli's La Lune can break certitudes and make new converts to this type of agriculture management. Thouarcé is a nice village of Anjou, a region where the architecture and village structure espress best a certain art de vivre that we're always happy to experience in this part of the Loire region, with something like a sense of civilized moderation and harmony. The farm Mark Angeli is not from Anjou or even the Loire (he's from Provence), like the majority of the vignerons that are bent on quality, most of them being outsiders; he arrived here almost by chance, in part because the vineyards in the region are the most affordable in France, and possibly in the world, he adds with a laugh, because the vineyard land price is ridiculous. Most of the newcomers vintners, he says, have been trying to upgrade the notoriety of the region (Anjou) all the while keeping bottle prices at levels that allow them to live correctly without being rich. They work in an autonomous way in order to be able to sustain a frost if it happens a year, or any other climate accidents which are pretty common in this trade. Overall, they're also wine amateurs and they want to enjoy the wines they make, and this at prices that are affordable, that's why most of them tend to keep their prices at reach for most wine lovers. Another thing, he says, is that this profession is also a cultural thing for them, not a way of making tons of money, and they like it like that. Because of all these things, he says, the wines of all these producers tend to be in high demand and they have to give allocations to the importers and national buyers so that everyone can get his lot. To counterbalance what would be an increasing shortage of real wines, he and other same-minded winemakers do a lot to encourage young newcomers to setlle down here and kickstart their domaine, they help them find parcels, sometimes finding investors who are ready to buy the parcels so that the guy can work on it, they help them for the vineyard tools and the vineyard management as well as for the ba&lanced accounting thanks to which even living off a small vineyard surface is financially doable without owing to the banks. I heard this all over France i the natural-wine movement and I think that in this regard these people stand out, not only do they make very interesting wines but they're not afraid of competition, they even encourage it and share their knowledge and expertise to help others follow their path. Professional Wine buyers are all too happy to see knew faces because with the growing demand for this type of wines in France and abroad there is always a looming menace of shortage on the supply side. As reknowned as they may be today, these artisan growers usually keep working on a limited surface of, say, 5 to 10 hectares and they won't overgrow, as they need to keep doing the vineyard work mostly by themselves, so the way out of the problem is to multiply the number of vignerons. This is also a good way to fight the rural depopulation and revitalize many regions with smaller farm units yielding higher-quality products. Pic on left : Door to the chai and vat room The iconic unicorn of the domaine Mark Angeli is originally from Aix-en-Provence near Marseille and his path to his present situation took many turns, After the high-school and a science Baccalauréat diploma, he went to the university where he studied chemistry but quit and instead did some masonry during about 10 years for a living, as he had learnt the trade during his highschool vacations. His small business was specialized in stones, old stones and stairs, something many masons didn't do. Because of a herniated disc he then decided to change career, and this happened coincidently when one of his last customers paid him with a load of bottles of Sauternes wines. Wine was already interesting him and he spent a year at La Tour Blanche, the wine school of Sauternes to (in his own words) learn what NOT to do when he'll be in charge in his own winery... He says that he ans his fellow classmates were lucky enough to have there a teacher who was also on the side an Ecocert inspector, so while teaching the compulsory teaching about how to make industrial wine he opened their eyes on another possible world regarding winemaking and viticulture. Bolstered by this alternative vision on another viticulture philosophy, they were full of energy and courage for new things. Mark began looking for a small domaine to take up, looking here and there across France for a year and a half, and he found this place by pure chance : he came for a two-day stay in the region and the second day his choice was made, in 10 seconds he knew this was the place, and as a mason he fell in love with these stones and farm architecture, deciding to buy the place without even having seen the vineyards yet. He knew he could practice his art one last time and bring this old farm back to life, there was so much work, only a mason could take care of it. Back in 1989 there was almost nobody making quality wines in the region, in part because the region fell into oblivion in the 1960s' under the productivist ideolgy of that time, when volume only counted and the government encouraged the trend with pushing the use of machinery and fertilizers. Speaking about the issue, Mark Angeli says that he and others opted for a different approach regarding the appelation system : they bottle under a table-wine label without further confrontation with the AOC administration, but this brings ridicule over the whole appellation system and their conventional backers. There's a ranking made on the region's wines every year at the Revue des Vins de France and you find all these rebels in the lead year after year, and among the 6 domaines who lead in the quality scores, already half are bottling in table wine (they quit the appellation). The result is panic in the AOC milieu, just imagine : a large share of the best chenin who sell on the best tables including abroad are vulgar table wines... There's now, Mark Angeli says, an opening toward a softening of the administration approach on the natural wines of the region. The other conventional growers and wineries also feel the heat and anticipate what they see as an inevitable change, so they beginning to turn certain parcels organic to see how they can handle this, and grow the organic share along the years. 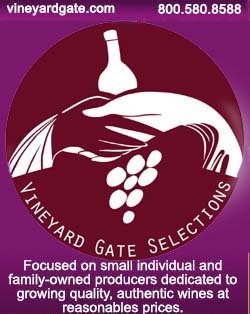 And Mark says that these wineries weigh more in the debate because unlike his friends and himself who are rebels from outside of town they have deep roots and are still safe assets in the regional trade, these are wineries with surfaces like 40 or 60 hectares whose owners are also often influential in the village administrations. The movement accelerated recently and during the last two years some 400 hectares (an average of 10 domaines making 40 hectares each) were converted organic. This is such a change compared to 1990 when he started, the nearest organic domaine from Thouarcé was Nicolas Joly 25 km away and Clos Rougeard same distance the other way. Now either rebel artisan vignerons or conventional-turned-organic wineries abound and he's happy about it. Now in 2014 there may be close to 10 % of organic vineyards in Anjou (against 2 % as of 5 years ago), probably a record in France. Showing the destemming basket When Mark Angeli purchased this farm in 1989, it had precisely the same surface of vineyards than today, 7 hectares. he manages it as a farm and you come across farm animals like hens, cows and there's even a draft horse which he uses for the vineyard. For 10 years he did all the work with the horse even if today he uses it only for the steep parcels. He also keep beehives and he would like to expand the other farm activities but he needs more land for that even if rented, and he is restrained by his neighboors would don't want to rent him unused fields for that purpose. His domaine has 7 hectares of vineyards plus one hectare of apple trees (he also makes apple juice), 3 hectares of fields and also 3 more hectares that are rented to a young market gardener who is starting his business. Rewinding on these early years, Mark Angeli says that very early he had the chance to have positive reviews of his wines in La Revue du Vin de France (a reference wine magazine in France) and in Le Rouge & Le Blanc as well as in Vino Veritas (a Belgian wine magazine). Customers came to him one by one, he went to wine fair to present his wines and rather swiftlythe export took off, he sold strongly abroad very quickly, with two strong blocks, he says, Scandinavia and Japan. These two families of people are very precious to him because they're loyal not only commercially, they're really involved in his own philosophy and approach and he likes that. The Grenier fermenter on the left Mark Angeli shows me the tools in his chai, there's first the Coquard press, an unusual type of press in the Loire as it's a Champagne type (Mark says that the only other winery in the region with a Champagne-type press is Les Maisons Brûlées). Before, he had two vertical presses of a smaller size than the Italian one that you can also see on some of the pictures above) but this was a lot of handwork to take out the solid part after the pressing. With this Coquard press it's much easier to dispose of the pressed "cake". He will not use much the small green Italian press, it will be only when there's not room enough in the Coquard press. And in fact, speaking of pressing, Mark says that discovered recently thanks to Philippe Gourdon (la Tour Grise) a revolutionary way to press the red grapes, at the same time extremely simple and increasing tremendously the quality of the pressing with less work : Typically they'd put this destemming basket at the top of the Grenier wooden fermenter (the large wooden fermenter on the left (pic above), then when the fermenter is full of grapes they put the stainless lid for 3 or 4 days, then as soon as it begins to ferment they put a water-tight plastic sheet over the grapes with 20 cm of water over it to keep the plastic tightly against the grapes cap. The water of course will not mix with the grapes but is only there to give weight and pressure so that no air comes in-between. The weight also pushes the cap in the juice so that you don't even need any pumping over or stomping. The excess CO2 can still come out all around the circumference but no oxygen can come in. THe maceration will ten stay this way for 6 months, then they let the juice flow through the tap on the bottom of the fermenter, and (that's the pressing part !) then they add one meter of water over the grapes (the grape load had packed tighter over this long time), and this heavy load will do the pressing without having to do the violent operation of forking out the grapes and loading them in a press. This is really revolutionary indeed and it seems so much softer that the quality must be enormously augmented in the process. This way, as you don't touch the grapes at all, you have for example lots of tannins but these tannins are not discernable at all at the tasting because green tannins come out only when you fork out the grapes. In addition, the few discernable tannins are polymerized because of the long maceration, and you get a gourmandise (enjoyment) in the wine experience that is properly outstanding. Philippe Gourdon has been using this pressing process for 5 or 6 years and Mark has been using it since last year and it's a miracle, he says, just terrific. He says that for his reds he was usually a bit anxious every year but with this method he's confident to mage a great red every year. In the surface cellar We tasted a few wines from the casks, the barrel cellar being a few steps down in the back of the main vat room. This cellar is very simple and beautiful, not deep underground but just enough to generate the right temperature and humidity through the dirt ground. Some kind of door at the other side is left open to get some air in, and with the steps and connection with the chai you feel that from its origin a couple of centuries ago this farm was doing a good volume of wine. Mark says that he began to work with 225-liter sizes like he used to see in Sauternes, then he tried 600-liter foudres and now he thinks that for him in this winery the good volume for a barrel is 400 liters. __ La Lune 2013. Dry Chenin from the barrel, this will be a table wine. Still some residual sugar here (the wine will be dry when bottled, hopefully), in spite of the warmer temperature of this surface cellar (except in winter when the cold mus sneak in). That's a problem for 2013, Mark says, they tried different things like stirring, then racking into a vat for some time and then in the casks again, but without success. He then opened this door on the side to get the temperature go up a bit and this worked somehow a bit. He could take one more year of élevage to sort out the problem but he's not sure he can manage this financially because La Lune makes 60 hectoliters (half of the total harvest), waiting one more year would be tricky. Usually on a typical year they'd rack the casks the day before the harvest and these casks would be filled with the new juice without having to use a sulfur wick on the casks. The texture here is grand too, for me it's definetely a gentle wine. The unpredictable energy in this wine comes, I'm sure, from the biodynamy, it's really mysterious but when vines have been farmed this way you get this particular dimension. The lack of SO2 is also very important of course because it preserved this energy of its own that the wine carries unhindered. This all is clearly unreproductible through enology tricks, that's why you rarely come across wines like that. My fill of Chenin __ Les Fouchardes 2012. In the region, Mark says, the geology is very complicated and because of past upheaval, it changes every 25 meters or so. The wine here has a very intense nose, it's not the wood here, this particular casks has gone through 3 wines before this one. The mouth is very open and enjoyable. __ Vieilles Vignes 2012 (old vines). The mouth is very powerful and intense when swallowed, very nice wine. Majestic wine, very beautiful. Mark says they're going to make this cuvée like les Fouchardes with a two-year élevage. This way also they'll eschew filtration, which raises the quality another notch. He'd like to do the same with La Lune but he'll not have any wine to sell for a whole year if he does it. Mark says that regarding the farm status and the administration side he opted for a flat rate system which is optional for small farms, it allows him to avoid lots of paperwork and administrative hurdle, but the down thing is that his turnover amount is limited, he has to stay below a certain yearly amount. One of the reasons he keeps his prices low is also because if he raised them he'd go over his ceiling and he would risk loosing this small-business status. But he says that his way to expand is help young vignerons set up their winery and take vineyards of their own. This is for me another example proving how the French administration could tremendously liberate the entrepreneurs' energy by cutting red tape and giving them free rein whatever the amount they make, I know many of them would dramaticly increase their surface, in the limit of what they can handle of course. I met many artisan vignerons who keep their business small in large part not to be harrassed by more administrative hurdles and punishing taxes. Sounds like a lot of waste of talents and energy to me, especially that the bigger wineries who follow an industrial-type model can do with these hurdles and taxes, they have full-time employees to do the paper work and the high yields compensate the taxes. Rosé d'Un Jour Walking back to the chai next door after the stone steps, Mark Angeli grabbed a few bottles to taste some more. __ La Lune 2012, from a bottle (bottled mid november 2013). The wine is filtered because there's always a bit of residual sugar (more than 3 grams) and Mark says he's not taking the risk to leace the wine unfiltered. I'm surprised because the texture of the wine made me think this cuvée was unfiltered, this proves for me that this wine is really outstanding as it can recover this filtration. They use what vignerons call a filtration pauvre en germe, a tight filtration (1,2 micron) that retains micro organisms and bacteria. This one had 4 grams of residual sugar. Mark reminds us that La Lune is a blend of all his parcels of Chenin, except Les Fouchardes and the old vines, La Lune is made from a surface of 3 hectares. He says that the blend is an advantage in the sense that the wine is open immediately, it is ready to drink very fast even if it can age too. He says that because of the blend, the pleasure you have 2 months after bottling is the same pleasure you'll find 10 years later. On the opposite with Les Fouchardes and the Vieilles Vignes the wine is a bit amorphous during the first 3-5 years and then it takes off, you need patience with these wines. The wine got a bit of SO2, 36 mg total, which is very little he says. He uses sulfur from volcanic origin since 2003 because they're very different from the mainstream ones you find usually in the wineries and which were obtained from petroleum. He and other artisan vignerons worked hard to source their sulfur from volcanic origin but now they get their supply without petrochemical origins. Usually the SO2 made from petroleum is liquid and their volcanic sulfur is a powder. Mark says that while chemically the two types of sulfur are the same but with a more refined analysis like Gas chromatography–mass spectrometry there are some observable differences, it's not neutral to use one in the place of the other. Since they began using volcanic sulfur in 2003, he noted that incidently he could lower the amount he used, from 80 mg before 2003 to half this amount the following year. To instill the sulfur in the wine they have a tool connected to the racking tubes, the sulfur burns and mixes to the flowing wine. Along the year they lowered even more the amount of sulfur, reaching levels which are sometimes undetectable in later analysis. The label tells important informations like the added sulfur amount (36 mg/l) and the yields (25 ho/ha), some info we'd like other wineries to release too on their labels. we may guess why wineries usually don't communicate on this : the maximum authorized yields are 60 ho/ha in the region by law, plus the 20 % of the PLC (Plafond Limite de Classement), an obscure extra allowance given by the administration to counterbalance lower vintages, which make real yields in the conventional vineyards reaching 72 ho/ha. Rosé d'Un Jour 2013 __ Rosé d'Un Jour 2013, Vin de France (table wine). Made from Grolleau Gris and Cabernet. Tastes like candy, a sugary wine (85 gr residual sugar) with grenadine notes, it goes down very well. Read Chris Kissack's profile of the 2008. Mark says that the wine tastes more like grenadine in years where the Grolleau has a bigger share in the blend and when there's even more Cabernet Franc it tastes more like strawberry. The wine is bottled 2 weeks after the harvest. Since last year the overgrafted some Grolleau Gris over vines of cabernet Franc to augment the share of Grolleau in this wine. In 2013 they used 2/3 or Cabernet and 1/3 of Grolleau Gris (70 ares of Grolleau Gris, but the yields on the cab are higher). This rosé was born as an accident initially in 1997, everything was ripe very early and all the varieties were ripe at the same time, which is unusual, so he put the Grolleau Gris on the side thinking it's less important, he'd pick it up later. So they picked the chenin and when at last they went to the Grolleau it had reached 14,5 % potential, way over what he intended. He still picked it and began the vinification but without having any idea of wjhat he'd do with it, as he couldn't do the light dry wine with that. One day the 92-year-old neighbor walked by and he offered him a glass of this wine, which was still sugary, asking him what he thought of it, and the old man who used to be critical of his wine style said with a lightly derogative tone that it made him think to the wines people made in the area before WW2, which Mark translated as a type of wine that was made before the chaptalization, which made him look more positively on his own accidental rosé. Then he brought sample at the wine fair and to his surprise the professional tasters not only tasted the wine but they swallowed it, it was a success and he decided to keep and repeat the cuvée. It's a small volume cuvée overall, it was 28 hectoliters last year and the most he made of it was 32. Because of the residual sugar the filtration was even tighter than for the white. But he doesn't add sulfites every time, it's a case per case. This time he added 42 mg per liter but on years when there's no botrytis he doesn't add sulfur (they did without in 2005 & 2008 for example). They never add SO2 on the reds on the other hand. For the whites, he made special bottlings without SO2 for particular buyers botyh private and importers (Japan and Denmark) because he knew the storage conditions on their side were met, but it's an exception. This one loves cuddles Mark Angeli says that he stopped making liquoreux white in 2006 because of the enormous amount of SO2 he had to put in the wine, in the range of 250 mg per liter, and he doesn't want to do that any more. He's thinking though about a way around which would be to over oxygenate the juice at pressing, then rack and have it referment, the fermentation being reductive, the wine starta anew but without the oxidases, and in these conditions you may be able to make a liquoreux wine almost without SO2. There's a good deal of exchange between the group of natural-wine vintners of the region, they make new experiences in the way they vinify and keep the others informed of the results in the wine, this is a very important side of this job he says, to never sit and repeat the same work book year after year. Like the other labels, this one reads Jus de raisin fermenté (fermented grape juice), Mark et Martial Angeli, paysans solidaires à Thouarcé, quelque part en France (Mark & Martial Angeli, solidary peasants in Thouarcé, somewhere in France). Note that the A word (Anjou) is wisely avoided, but the wording still gives a humorous snub to the appellation minders. The following line on the label gives the amount of volcanic SO2 added (42 mg/l). Another snub to the Appellation system is the name itself, you may not notice immediately but when you pronounce the words Rosé d'Un Jour you'll find a very similar sound with Rosé d'Anjou. It all happened as follows : Mark made the first such rosé in 1997, and from 1997 to 2002 the wine was systematically refused on the first pass at the appellation's commission d'agrèment [when a small committee made up of several vintners of the region decide if the wines get the appellation or not]. Each time he had to wait long delays to print the labels because even when he got it at last (after a second try), he was never sure to get this appellation status. So since 2002 the wine was labelled as table wine (now "Vin de France") and he decided not to pass these agrèments anymore. Each time he was argued that the wine was atypical (the magical word they always have in this case, he says : atypique) The vineyard (Cabernet overgrafted with Grolleau) Mark Angeli showed me the vineyard on the other side of the road (which was built 25 years ago) along the farm, I had also a glimpse on the farm animals including a few cows that were resting at the other side of a prairie with high grass. Mark says that this year they have planted ungrafted Chenin on a soil which is supposed to be less prone to Phylloxera (a slope with sandy soil). Martial, Mark's son decided to do that, it's a try and time will tell if it works or not. They had such a parcel of ungrafted vines before, a plantation en foule like it was made in the past, with a very high density, 40 000 vines per hectare, but it was destroyed by phylloxera and they had to uproot everything. It was so dense that no tractor or even a draft horse could work on this parcel, maybe a goat could have sneaked between the vines. They needed 4 days to till that parcel with the two of them, as it only could be done by hand. For the new planting of ungrafted Chenin they did it on a very small surface, 10 ares, beginning with a row to which they'll add two more at the end of this year. They want to compare (we'll need 3 years to see this) the chenin made from ungrafted vines with the one made with rootstock. The vineyard on the picture above was originally cabernet sauvignon but they overgrafted it last year with Grolleau (picture on left), it's an experience. Because the lower part of the vine is already strong, the graft takes less time to be fully productive. This way his total surface of Grolleau will be 1 hectare, planted with the 3 types of Grolleau : white, grey and red. Some of these grapes will be used for a red. Cabernet Franc is good on limestone soils but here with these acidic soils it's more fit for Cabernet Sauvignon. The parcel is surrounded by woods or thick hedges, it has a very natural environment, and they replanted plants and hedges to make it such, this way he never has grape worms because they have predators. Some vineyards nearby are the ones of Stéphande Bernaudeau and also Toby Bainbridge. He plows this parcel with the draft horse because he can't use the tractor here. The other interesting thing is that Mark Angeli's vines are shaped in goblet but without trellising system (pic on right), there's no wire or anything to hold the shoots. they started this in 1992 when they did the first overgrafts, that was because the poles were rotten, they took them out in order to replace them but the vineyard was so nice like that that he and Stéphane Bernaudeau who helped him decided to leave the parcel like that. Later he extended this to the rest of the surface. All his parcels (7 hectares in total) are close to the farm, the farthest being 800 meters away. Who's that tall guy ?? Mark speaks about other experiences he made, for example ionce they tried to do exactly what you're supposed to to do with liquoreux wine : this was 2 years ago, at harvest time the rain came and they realized that they had forgotten to pick a row of chenin, all the grapes had got botrytis but with vinegar and all the bad stuff, so Mark decided an experience, he let the rain pass, it seemed to wash away the vinegar, then the wind dried all the grapes, and after picking they did other forbidden things for this type of vinification, they put the grapes in an open vat, did foot stomping over it (you're never supposed to do that with grapes in this terrible condition), they made a maceration for 2 or 3 weeks and had the fermentation in demijohns. Oddly, the resulting wine was very interesting and enjoyable, which is quite incredible when you think that for all the process they did exactly the opposite of what is taught in all the enology books, and to top it off, the wine was totally SO2 free including for the incoming grapes.... The liquoreux wines have usually the highest SO2 addings, the winemakers usually begin with spreading the grapes generously in the chai and in the wine they almost add 0,5 gram per liter, it's almost poison, and with a single glass you get the maximum authorized daily input. Luigi is Mark Angeli's draft horse, an impressive horse of the Breton breed with tender eyes, he stared at me with a bit of anxiousness, wondering probably what was doing this guy with a strange black box in his hands. Mark got it when he was 6 years old, it must be 12 now. He had a horse since 1994 but didn't really use it, then he followed a training in the Jura to handle draft horses, and Olivier Cousin who was also learning to use a draft horse was there too. Luigi must be so happy in this environment. Mark Angeli's wines are exported to Denmark (Rosforth & Rosforth), Sweden (Grande Bouteille), Norway (a former sommelier of Noma), Japan (Racines), the United States (Louis Dressner), Quebec (Vini-Vins), the United Kingdom (Yapp Brothers), Belgium (5 of rhem, including True Great Wines) and China (Shanghai). Mark also had some export to Russia years ago. Mark Angeli is also very active in a non-profit group providing aid to Madagascar and replanting forests there. You can learn more about his views about agriculture and its contemporary challenges in his book La Colère des Raisins (available at the ferme). I really love your blog. 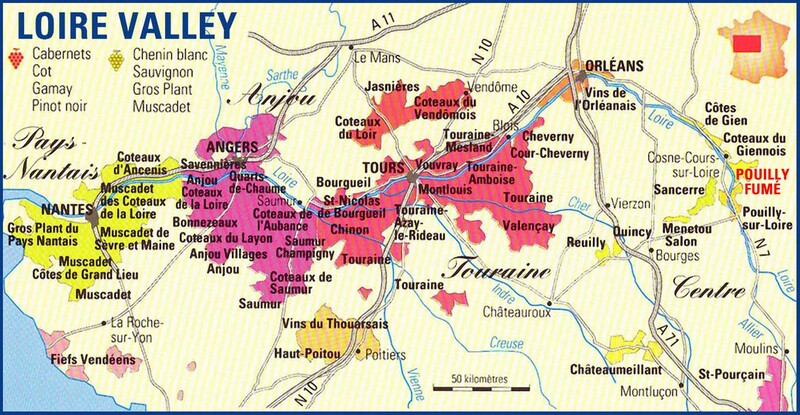 There's probably one other english language blog out there that provides similar in depth info on French winemakers. There is however one issue I have with it: You're only displaying a truncated RSS feed of your posts, so I need to click through to read full posts. This is inconvenient on a laptop, because of the context change, but really problematic on mobile, where your site just doesn't display well. Is this because of your advertisers? If so, could you maybe consider naming them with links at the end of each blog post instead and display the full RSS feed? That would be amazing. Yes I know, it was a deliberate choice, I understand it's arduous to access the website correctly with a mobile, I haven't really worked on that and I'm pondering what to do. Still I'm reluctant to have the whole content read elsewhere than on the blog itself, and incindently my advertisers too I guess. I love your blog and it is a great source of valuable information, even for professionals! I just want to comment your complaints about French administration making things difficult for small farms/vignerons. It reads funny: first the results show that France does it very well because so many small vignerons do beautiful wines and make decent living. Second, situation is much worse in other European countries (like mine:). I see perfect balance between small farms doing pretty good handcrafted wines without a lot of paperwork (and without a lot of development that brings industrial technology etc.) and big industrial projects focused on growth :) with standard accounting. I think this is the thing that we envy French vignerons. If you speak to many of these vignerons in private you hear a different story, they have seen an enormous worsening of the red tape and administration hassles over the years (add also the norms issue), I guess that if they could just return to the way the administration treated them in the 1960s' it'd all be fine. They may do well because wine buyers and the public support them, but this still has to be achieved through a non-necessary loss of energy dealing with the bureaucracy. Other countries may be worse in this regard but a country like France with such a long tradition in winemaking should be more interested in having its artisan vignerons work in better conditions. This is clearly not the case. In Spain we also have the opportunity to taste these wines with its magnificent Supplier: www.Coallagourmet.com. A real pleasure!! Absolutely fantastic post and blog as well! Thank you! After reading the post again and again more times I cannot imagine exactly that how this water-tight plastic sheet looks like that can help not to mix the water with the grapes cap (red fermentation thanks to Philippe Gourdon). Do you have a picture of it? That's right, the plastic sheet must be large enough so that it goes up along the vat's internal wall and even a bit outside so that when the water volume will be very thick it doesn't leak water into the compacted grapes. You can make a blank test with something else than grapes in side the vats to see if your plastic sheet is thick enought to stay water proof. Then take the water away by syphooning it away carefully with a pipe and check the things underneath to see if water has leaked or not.